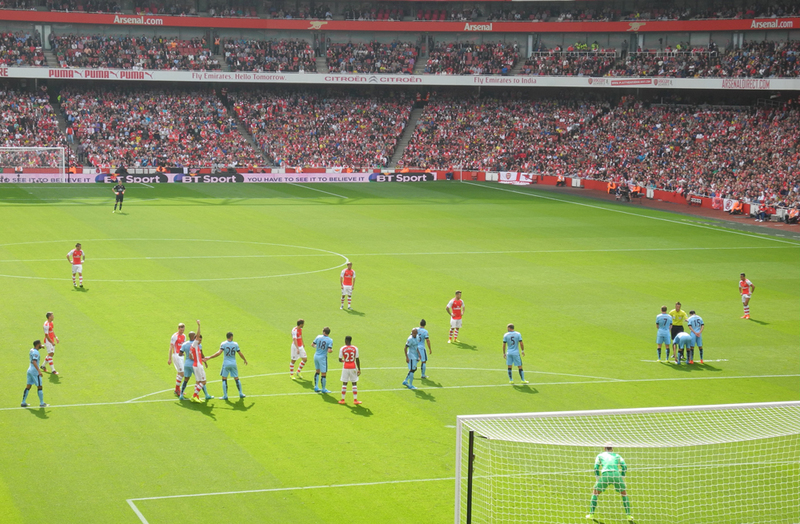 * photo from a visit by an Arsenal Singapore member to the game against Manchester City on 13th September 2014. Arsenal Singapore members are entitled to apply for match tickets one month after becoming a member. Applications must be made via email to tickets@arsenalsingapore.com and must be submitted before the ticket application deadline dates. In general, the deadlines for League matches are about 10 weeks before match day. For Cup games (Champions League, FA Cup and League Cup), you will need to apply once the fixture has been confirmed. The deadlines for these matches are usually quite short so please look out for announcements on our website. Applications after deadlines will NOT be entertained. Please state your name, membership number(s), membership expiry date(s), mobile number and the match you are applying for in your email application. Group bookings are welcomed, but all applicants must be members. One ticket per member. No additional tickets for friends are entertained. Tickets are non-transferable and are only meant for that member’s usage. Any member found selling or giving away their tickets will not be allowed to buy tickets from Arsenal Singapore in the future. Tickets are ONLY for Arsenal first team games at the Emirates Stadium. Tickets are NOT guaranteed until Arsenal Singapore has received confirmation from Arsenal FC (around 7 weeks before the match) and we have informed the applicants via email. No tentative bookings. Only apply for tickets if you definitely intend to go! Any member that has applied for tickets and do not pay will be blacklisted and will not be able to apply from us again. We have no control over seat allocation in the stadium. Therefore, we can’t accept requests for tickets at a certain price. Matches are categorised into Category A, B or C matches. All remaining Premier League games will be either Category B or C.
UEFA Champions League and FA Cup fixtures will be based on Category A and B pricings. Pricing for League Cup fixtures will be advised separately. The above is based on prevailing bank exchange rates as of 01 July 2017. A review of the exchange rates will be done on 01 January 2018. Arsenal Singapore will contact applicants for payment and will only submit applications upon receipt of full payment based on the Category of the match being applied for. There will NOT be any refunds from Arsenal Singapore or requests for top-ups from members after payment is received. In the event that we have more applications than tickets from Arsenal FC, priority will be given to those who contribute actively to the club and on number of years of continuous membership in the club. All decisions on ticket allocation by Arsenal Singapore are final. Please note that the date of matches may change at short notice due to TV scheduling. Arsenal FC WILL NOT refund or exchange tickets if the date or time of the game is changed, so neither can we. 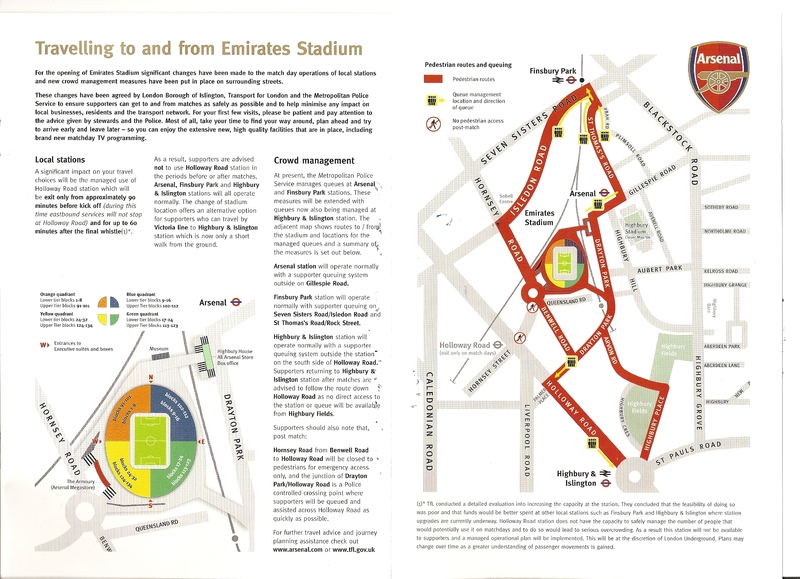 Tickets have to be collected at Emirates Stadium (see info below) on match day upon presentation of your Arsenal Singapore membership card and an additional proof of identity (passport, driver’s licence,etc). Transportation and accommodation is entirely up to the individual member to organise, but we can put members in touch with providers of reasonably priced accommodation (for which we accept no liability). Members are requested to send photos and a short trip report after they return to Arsenal Singapore for use on our website and / or Facebook page. Those who don’t will have a lower priority for subsequent bookings. Exit Arsenal Tube station on Gillespie Road and turn right, follow the road as it bends left, it becomes Drayton Park. You will pass a gated park on your right, keep going a little further and you come to a large flight of steps on your right. This is the north bridge over to the stadium. Go up and cross the bridge. You are at the Stadium, walk along the stadium to the right until you come to a large flight of stairs going down. Do not go down, on your right you will see public toilets and a row of ticket booths for ticket collection. The tickets will be available here on match day and you should pick them up at least 30 minutes before kickoff, it opens approximately 3 hours before kickoff. Hi sir…possible to get 2 pair of tix on 4/10/15 against united? Hi, please refer to https://arsenalsingapore.com/tickets/application-deadlines/ for details or keep a look out for our Facebook page updates for application deadlines.